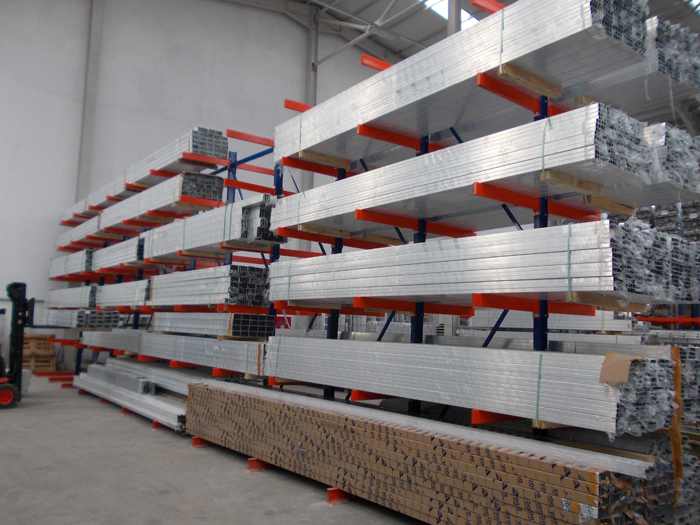 For the storage of long, bulky and products of different sizes, especially pipes, bars, profiles, boards etc. 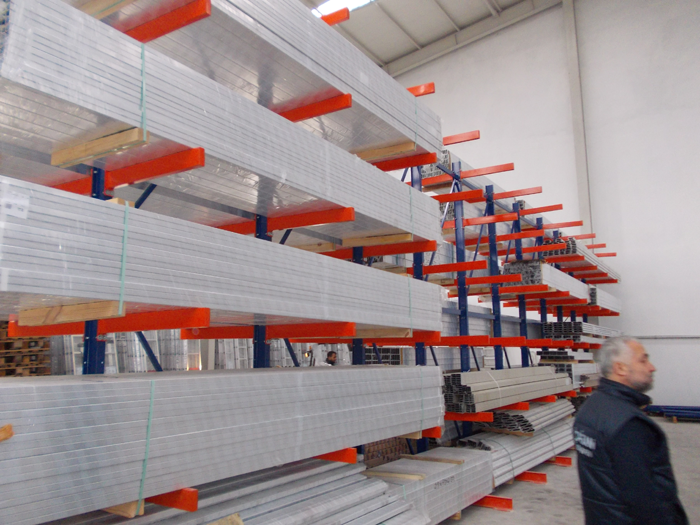 cantilever racking system is the most appropriate option. 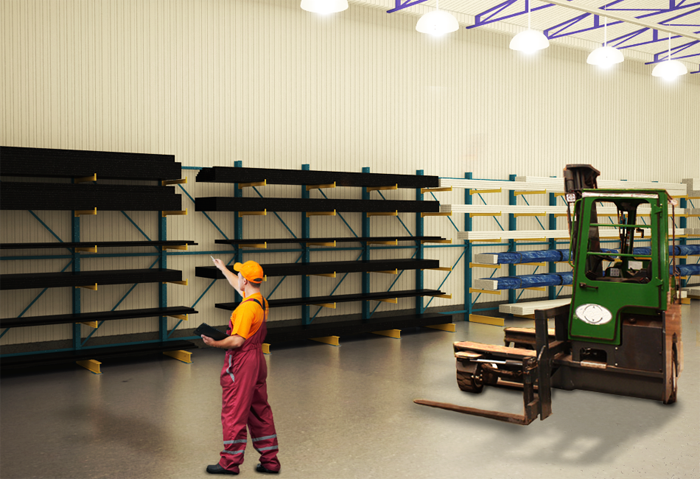 Cantilever racking system is designed with different materials according to the weight of the goods to be stored. 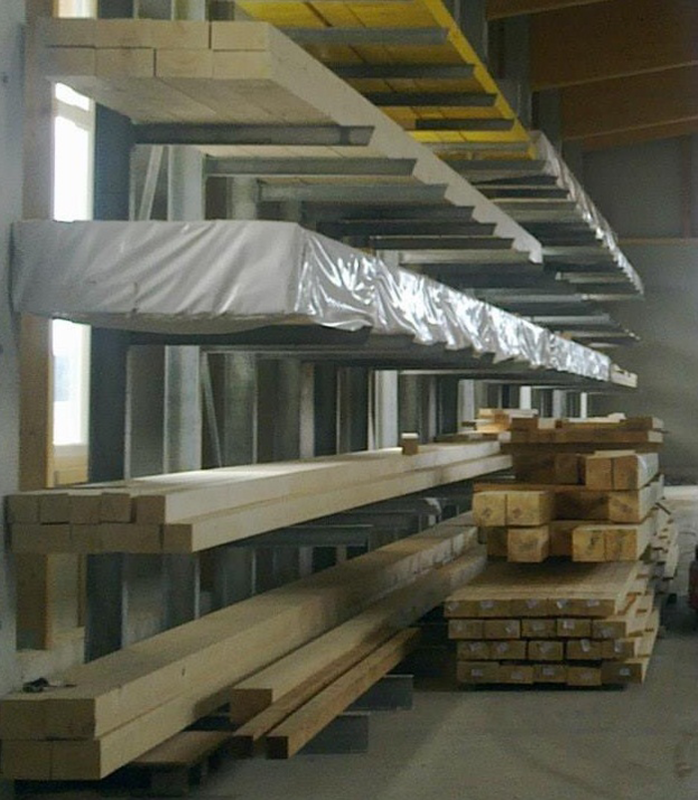 For the design of the system, on the one side cold formed profiles are used to support light weights, at the other side, hot rolled materials such as IPE, NPI are used for heavier goods to be stored. 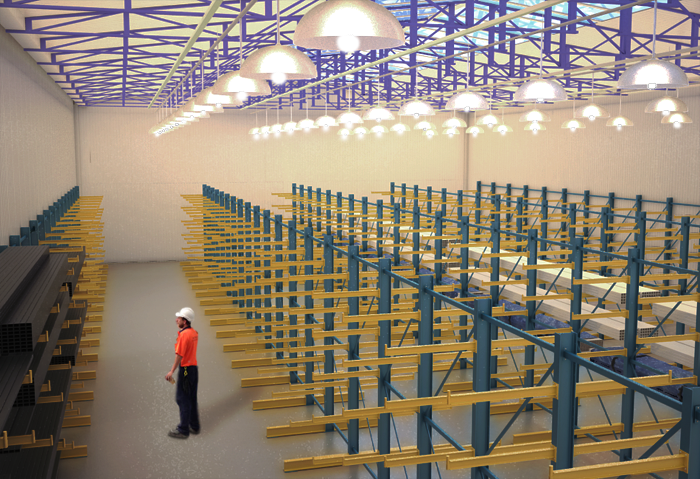 Cantilever racking systems consist of console arms bolted to the vertical structural column and strengthened with bracings. 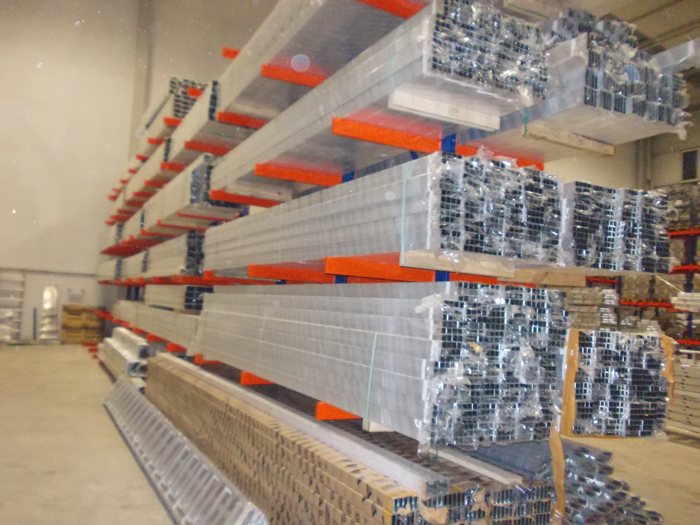 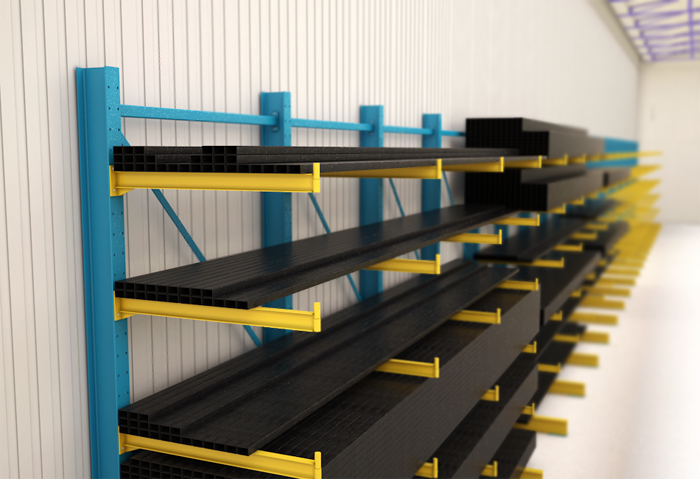 Cantilever racking systems can be adjusted at any time to the desired length with the use of additional elements. 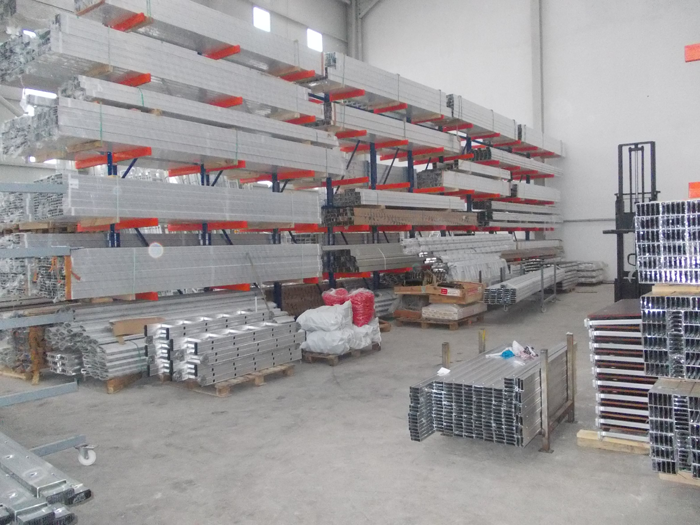 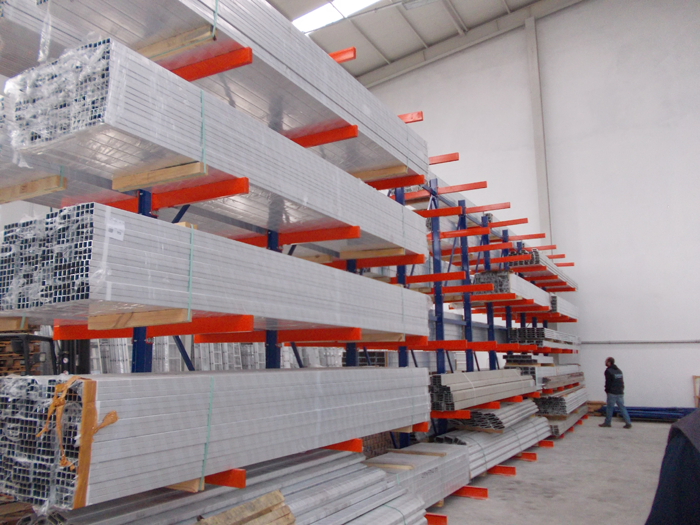 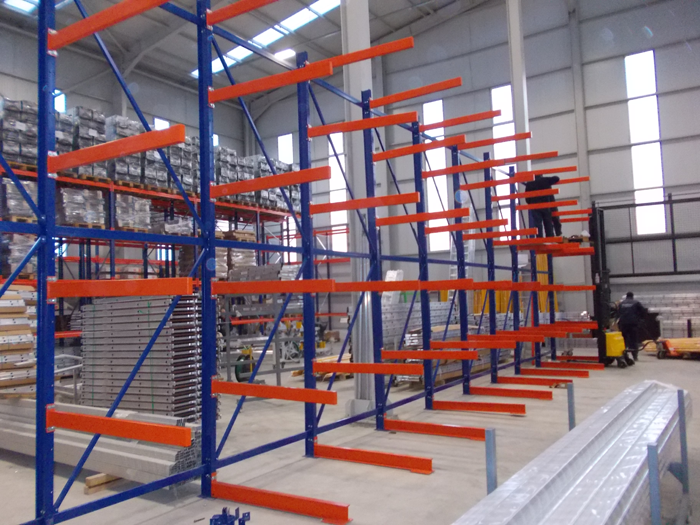 Cantilever racking system can be used as single-sided or double-sided and can be adjusted according to the height and weight of products to be stored.